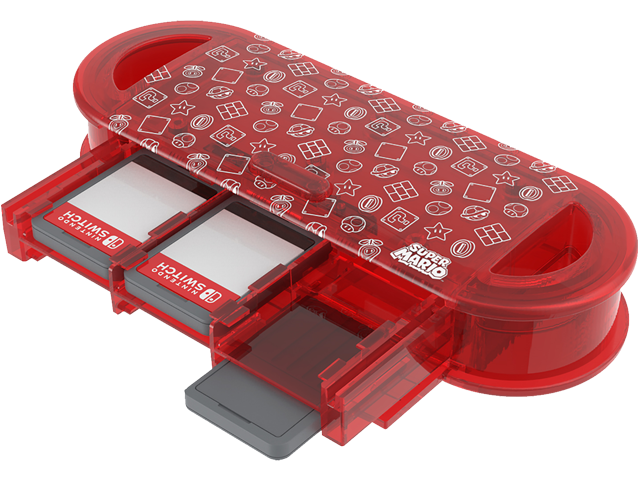 Store and protect your game cards with the exciting Nintendo Switch™ Secure Game Card Case. This game case holds up to 6 Nintendo Switch game cards and features a fun and safe spring-loaded pop-out drawer for easy storage. Hold onto your favorite games while on-the-go. Nintendo Switch games not included.